Candace Rardon has just returned from a trip to the East Coast USA and tells us why there is much more to see there than the usual tourist hotspots of Boston and New York. When it comes to visiting the U.S., it’s easy to focus in on vibrant hot spots like New York, L.A., or Miami. But tucked away in the middle of the East Coast are two cities I recently had a chance to see more in-depth and I couldn’t be happier to have explored them: Baltimore and Washington D.C. 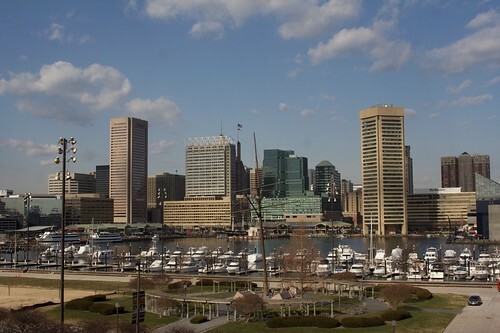 Kick off your own time in the mid-Atlantic region in Baltimore (also known as Charm City), before journeying down to the capital for a weekend of good eats, historic monuments and streetscapes that will have your camera clicking all day long. 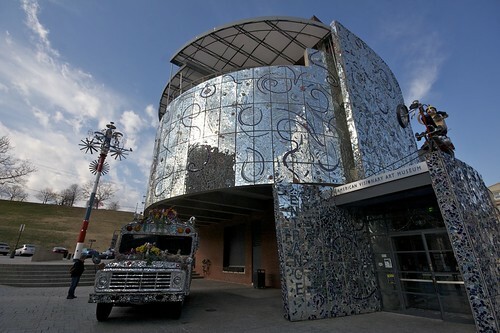 Visit the American Visionary Art Museum: If the thought of pretending to “get” centuries-old fine art doesn’t interest you, then this is the museum for you. Visionary art is defined as works produced by self-taught artists who follow their own personal vision, not any kind of formal training. Think pieces involving spray-painted paper plates, giant whirligigs, and toothpick sculptures. Hike up Fed Hill: You’ll be able to spot the giant American flag waving at the top of Federal Hill from many points in Baltimore, but the best place to see it (as well as epic views of the city’s skyline) is on the hill itself. A climb up its gentle slopes will also be a step back into history, as Federal Hill today commemorates the Battle of Baltimore during the War of 1812, which happened to inspire Francis Scott Key to pen the national anthem. Brunch in Fell’s Point: This trendy neighbourhood home to art galleries, gelato shops and restaurants is the perfect place to head to after all the art and hiking have worked up your appetite. One favourite spot is Teavolve in Harbour East, whose weekend brunch menu includes Belgian waffles, omelets, and their irresistible apple cinnamon stuffed French toast. Situated only about 65 kilometres apart, getting between the two cities couldn’t be easier. While companies such as Megabus offer bus journeys for $5-6 (about £4), if you’re planning to travel Monday through Friday, you could also consider taking the MARC commuter rail system. For a single fare of $7 (£4.50), the train will take you from Baltimore’s Penn Station directly into Union Station in D.C. No matter which way you choose to travel, it won’t take more than an hour or two. Monuments by Night: There’s no better way to see the huge number of national monuments that spread across downtown D.C. then when they’re illuminated at night. Another advantage of doing so is that traffic will have also died down by this point, meaning you can zip between sights with ease: from the looming obelisk of the Washington Monument to the waterfront Jefferson Memorial overlooking the Tidal Basin. 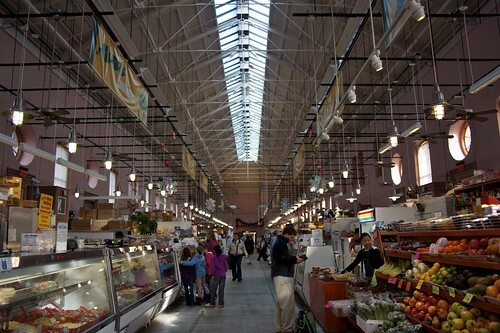 Saturday morning at Eastern Market: Get your weekend off to the right start with a trip to D.C.’s oldest continually-operated public market. Wander through the indoor portion offering fresh fruit, baked goods and seafood to the outdoor stalls, where you can pick up handcrafted jewellery, antique furniture, and even a tea box or two from Afghanistan. 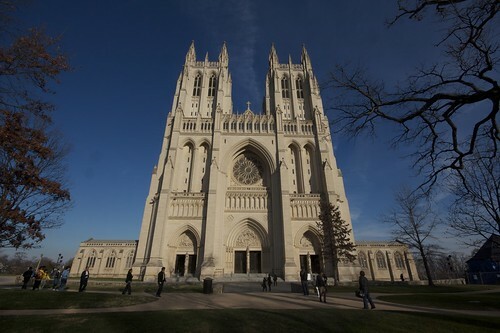 Evensong at the National Cathedral: Although its construction was only completed in 1990, this building is still a striking example of neogothic architecture and is even the sixth-largest cathedral in the world. Evensong at churches such as Westminster Abbey and St. Paul’s Cathedral might have you used to queuing up for a seat, but demand here isn’t quite so strong, meaning you can easily cozy up right next to the choir. Direct flights to Washington from the UK take on average 8 and half hours with a choice of airlines including Virgin, BA, Delta and US Airways. For the latest offers call 0208 045 4186 and speak to one of our Airfare Experts.